Rare To Find Beautiful Lake Front 149.03X 339.3 Ft. Lot. Investment Opportunity In Stoney Creek: 3900 Sq,Ft. Living Space On Main Floor Plus Finished 2-Br. Basement Unit With Separate Entrance. Extra Long Driveway. House Has 3 Independent 2-Br Units: 2 Units Rented@ $35,400/Yr & 1 Unit Is Owner Occupied & Can Be Rented. Potential For Severance. Value Is In Land And Its Lakefront Location. This 4+2 bedroom 4 bathroom house features a family room, fireplace, 8.0 parking space and air conditioning. Listed at $1975000. This home has 10 rooms on 3 levels. 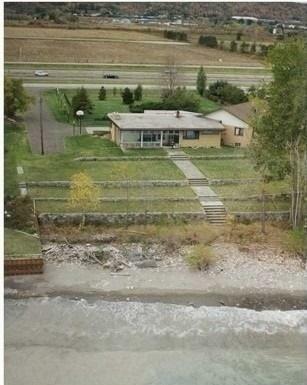 It is for sale and has been listed on newstreet.ca for 1 days. A mortgage for this property would be approximately $7681/per month . Welcome to 1089 North Service Rd L8E 5E1. Located in the Stoney Creek neighbourhood of Hamilton. Local amenities around 1089 North Service Rd in Stoney Creek include Cafes and Restaurants such as Memphis Fire Barbeque Company. local education institutions and schools such as Mohawk College of Applied Arts & Technology, Ontario College-Health & Tech, Mohawk College - Stoney Creek Campus, Stoney Creek Education Centre (OREA), Mohawk College Enterprise (MCE) and Cardinal Newman Catholic Secondary School. Listing data for this listing is provided under copyright by the Toronto Real Estate Board. The listing data is deemed reliable but is not guaranteed accurate by New Street or the Toronto Real Estate Board. CLIENTS ONLY Register for Free New Street Pilot Account to access information. $342 AVERAGE house PRICE per sq.ft. $0 average house maintenance fee/sq.ft. Your request has been successfully initiated and a Pilot account has been set up for you.